Still undecided on how to make an impression on next week's Halloween parties? 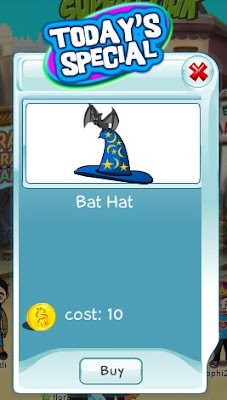 Maybe the Bat Hat is exactly what you need! It's very cool and would make you stand out among other "regular" wizards :) Works for both boys and girls! Hurry and take advantage of Today's Special.